"Consider a future device … in which an individual stores all his books, records, and communications, and which is mechanized so that it may be consulted with exceeding speed and flexibility. It is an enlarged intimate supplement to his memory." 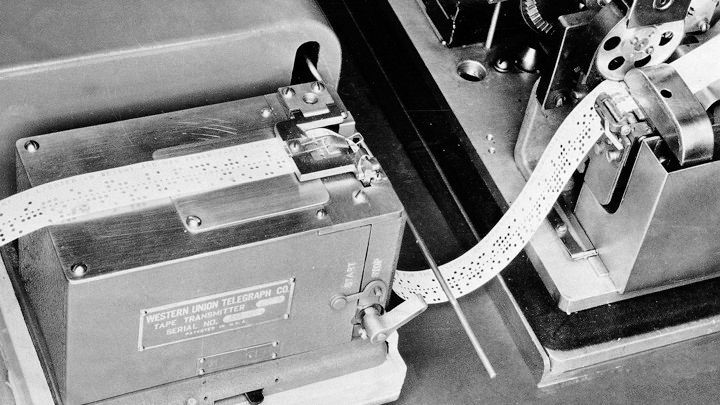 The telegram was a breakthrough in communication technology, which Vannevar Bush imagined could evolve in unprecedented ways. This article appears in the July 1945 issue.